Endoscopic spine surgery is a minimally invasive procedure that utilizes advanced cameras and special medical instruments that are inserted through tiny incisions in the back, abdomen, or chest to access and operate on the spine. Although endoscopy has long been used in the field of medicine, endoscopy used for spinal procedures is a new and innovative technique made possible by new technology and advances in medicine. Endoscopic surgery can be very beneficial for patients suffering from certain conditions. Due to the nature of this type of procedure, both recovery time and post-operative pain are diminished when compared to traditional, open-back methods. 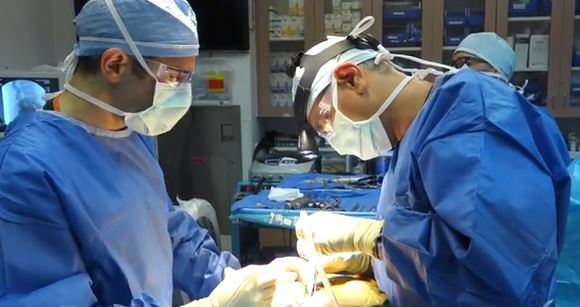 At ProMedSPINE, our team consists of highly renowned and remarkably qualified surgeons with an expertise in a variety of spinal treatments and procedures. We pride ourselves on achieving the best possible results for all of our patients. The use of endoscopic procedures to treat these types of conditions can be beneficial to the patient in many ways. The minimally-invasive nature of endoscopic spinal surgery when performed by an expert spine surgeon yields fantastic results in the patient. For a long time, the open-back method was the only way to perform surgery on the spine. Just to repair a damaged disk, this traditional method required a large incision to be made in order for the surgeon to have access to the spine. They would then have to work to repair the disk through the muscle and tissue surrounding the spine. These procedures would take hours to perform and patients were required to undergo general anesthesia. The recovery time could be very lengthy, and post-op pain was often significant. Today, discs can be repaired in a little over an hour with the new, modern technique of endoscopic spine surgery. The incision size is miniscule and there is very little disruption caused to surrounding muscle and tissue. Because of the size of the incision and the fact that no muscles are cut, the patient will experience much less pain after the procedure. Recovery from an endoscopic procedure is much quicker than that of open-back methods. On average, recovery times and pain levels are cut in half. Many of the endoscopic procedures that our spine surgeons perform are done in an outpatient setting, and most patients go home the same day. 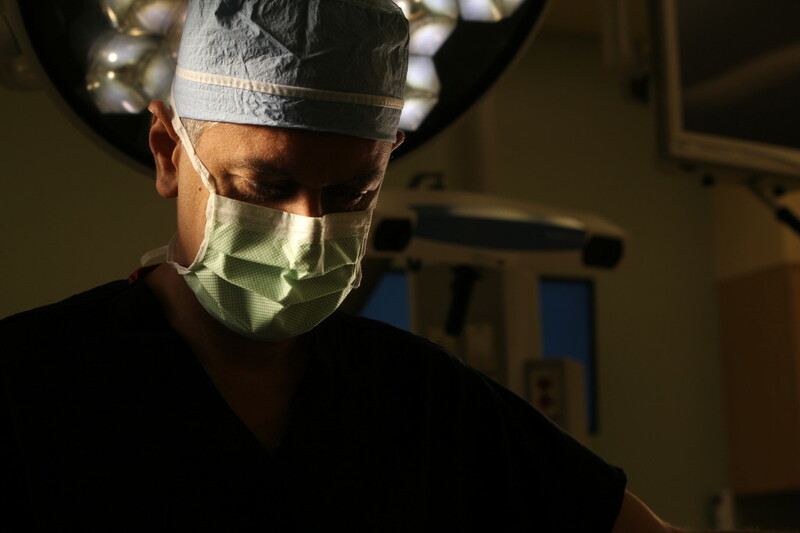 For larger procedures such as fusion surgery, patients will be required to stay in the hospital for a few days. A return to work and certain activities will vary between each patient. It depends on what procedure was performed as well as the activity level the patient wishes to return to. For some endoscopic spinal surgeries, patients are able to return to work in a matter of weeks. Others may require a month or two of limited activity. Your surgeon will discuss all of these issues with you, as well as answer any questions you may have before and after surgery. It should also be noted that patients can have an influence on their recovery times. There are things a patient can do before a procedure in order to improve their rate of recovery. Patients who smoke should consider giving up the habit, as smoking has been found to hinder recovery after surgery. Patients should also prepare by exercising and getting into shape. When patients have a good physical fitness, they’re better able to cope with the recovery period. After surgery, following rehabilitation instructions and maintaining physical and mental health are the best ways to ensure a quick and full recovery. To learn more about minimally invasive spine surgery, please visit the American Academy of Orthopaedic Surgeon’s website. The team of expert surgeons at ProMedSPINE possesses the expertise necessary to perform endoscopic spine surgery and give patients the best results possible. ProMedSPINE offers a compressive consultation and free MRI readings in order to determine whether or not surgery is the most suitable option for you. If you are a patient who may need endoscopic spine surgery in Los Angeles, please contact our spinal surgery facilities today. Next, please read about Anterior Cervical Discectomy & Fusion.